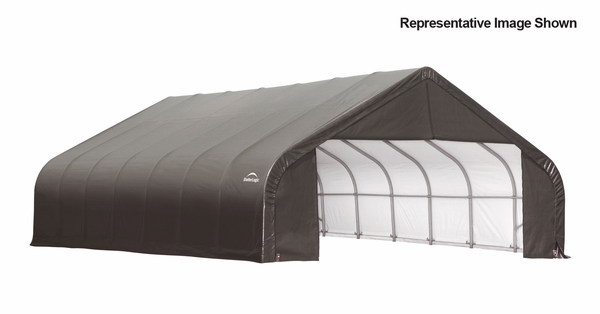 This portable shelter has many of the durability and stability features of a permanent storage solution. 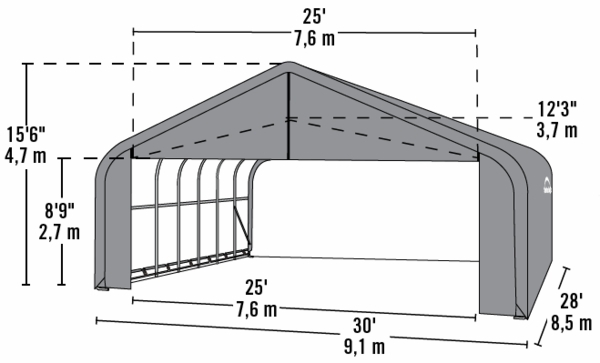 Shelter Logic offers this product to homeowners who need outdoor storage space. The consists of a steel frame covered with durable polyethylene. The frame is made of 2 3/8" steel that is powder coated with a DuPont formula that is baked on for maximum resistance to corrosion. The cover is UV treated to keep the entire unit well protected from the damage caused by prolonged sun exposure.